Daveswordsofwisdom.com: Remembering those we love in Heaven. I really miss my Husband who passed away on 8/15/16. 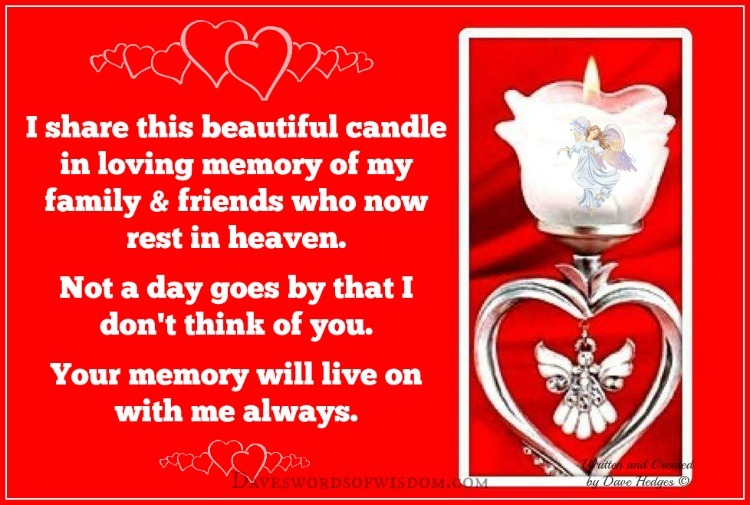 2 All my SISTERS, And My BABY BROTHER..I SO MISS YOU ALL. To my two Brothers,my father,my mother,my wife,I think of all you everyday"
I miss my mother,father,husband and mother in law and also my sister Julie! I wish they were still here on earth with me! I miss my son so very much & I miss my Dad; but I know they are in Heaven together.